Premium Aquatics Blog: Is your RODI water really near zero TDS? Confidently Know Your TDS Levels! Are you measuring the total dissolved solids (TDS) of your reverse osmosis deionized water after it's in your reservoir? 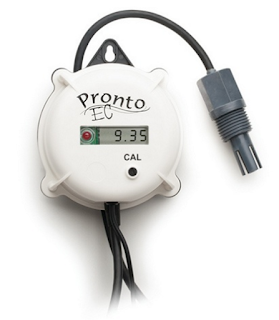 Although inline TDS monitors can be useful, they don't give you a reading of the water in your storage tank. Over time, storage tanks housing RODI water can easily become contaminated with dissolved solids. Although the TDS meter on your RODI system is reading close to zero, the water you use for your reef tank can actually have a higher TDS reading. It's best practice to monitor the water in your storage reservoir to make sure contamination, TDS, or unwanted particles don’t get added back into your aquarium. The following meters are both designed specifically for low TDS environments and feature automatic temperature compensation – both which greatly improve testing accuracy. Try the HI983304 Pronto EC Meter, featuring water resistant housing, large LCD display & visual LED alarm with a selectable set point. Check out the HI98308 Pure Water Tester. Featuring an amperometric graphite electrode that provides better repeatability in measurements, since it won't oxidize. Confidently know your TDS levels and get the most out of your RODI system!